The full VG bases (Vegetable Glycerin) will give you a large volume of steam for a smooth vape. More and more people vape VG 100%. The popular product manufacturer Alien Visions makes the Boba's Bounty with a 100% VG base with extraordinary flavors on the palate. 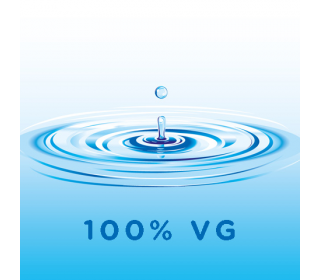 Note that the full VG liquids tends to clog resistance more quickly. Bottle: 120 ml and 240 ml.